Our professional crews install retaining walls that are both functional and beautiful. Natural boulder or paver walls will complement your whatever landscape is around your property. 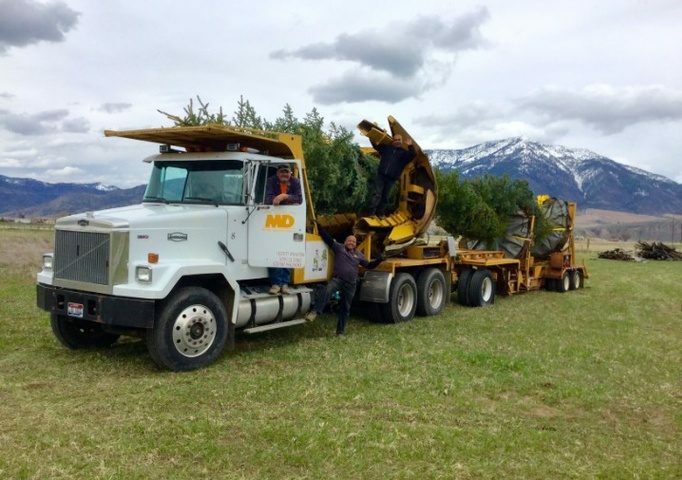 Here at MD Nursery & Landscaping, we have vast experience in installing trees in the challenging terrain and climate of eastern Idaho and Wyoming. Our highly trained staff will guide you in the proper selection of trees for your landscape to ensure a lifetime of beauty. We also own and operate our own tree farms. With this the MD team knows that the trees we use in your landscape are acclimated to this area’s elevation and climate. 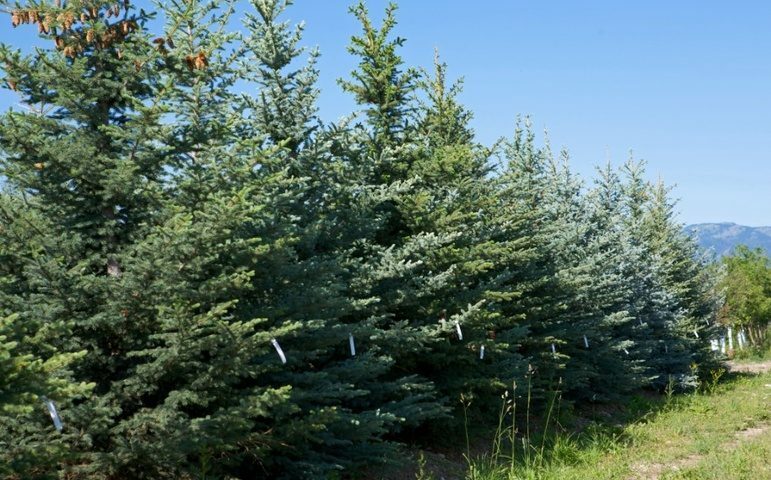 Our tree farm offers a large selection of plant material from ornamental to deciduous & conifers. We at MD Landscaping are capable of harvesting native trees through the use of our large spades. Whether you are looking to add large trees to your landscape or you need large trees removed, we have the crews and equipment to get the job done. We are able to spade up to 30 foot conifers and 10 inch caliper deciduous trees. Outdoor living comes to life. Adding a patio, outdoor kitchen, fire pit, or pathway will extend your home’s living space so that you can enjoy your views, fresh air, and all the reasons you live where you do. 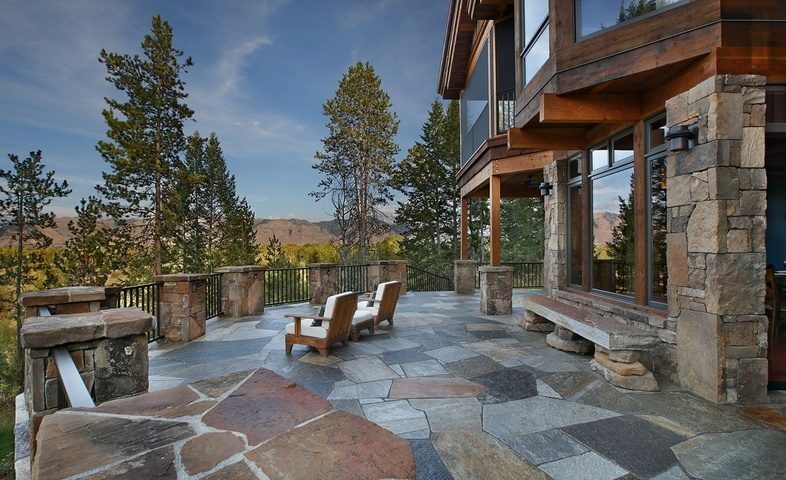 We have years of experience in creating outdoor living spaces throughout Jackson, Wyoming and eastern Idaho. Whether you are looking for meandering walkway through your landscape, a flagstone patio, or a rock wall to enhance the slope of your property, our team at MD can help you build an outdoor living space that will enhance and add value to your property. Planting of perennial flower beds requires routine maintenance including deadheading, weeding, and fertilizing, all of which we handle with ease and great care. The MD service team can handle any size landscape from 20-acre plus private estates to small home gardens. You can feel confident that your landscape will be properly maintained and flourish under MD’s care. Adding unique and unexpected elements to a landscape adds character and personality to what would have been ordinary otherwise. Unknown to many, MD Nursery & Landscaping has on its staff a steel work artisan. For years he has specialized in all types of decorative metal fabrication. Whether you’re looking for a custom gate, decorative exterior wall art, or a custom waterfall, our team at MD can create a magnificent visual addition to your home or business. Call for more information. (208) 354-8816. Laying sod is one of the simplest, yet important, parts of what we do when it comes to landscaping. It’s the part of a project the people often notice first, and that’s why we care so much about it. 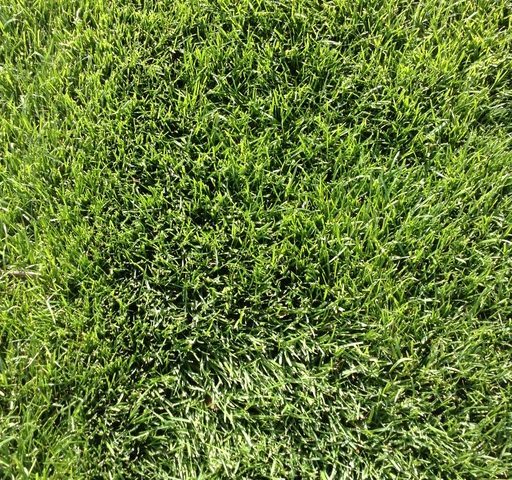 For example, locally grown bluegrass sod is perfect for an instant lawn. Routine application of high quality lawn fertilizer and broadleaf weed control are essential for maintaining a healthy lawn. The MD service team can handle any size landscape from 20-acre plus private estates to small sidewalk container gardens. You can feel confident that your landscape will be properly maintained and flourish under MD’s care. Come early spring our power raking machines will pull up dead grass, which prepares lawns for new growth. Lawn aeration punches small holes into a lawn allowing for more oxygen and water penetration to the root zone. It helps you maintain a beautiful, green lawn every year. *Aeration is best done in the fall. We’re capable of moving big trees through the use of our large spades. So whether you are looking to add large trees to your landscape or you need large trees removed, we have the crews and equipment to do the job right. We are able to spade up to 30 foot conifers and 1 inch caliper deciduous trees. Let us dream up your garden and take it from concept to form. Our process involves working closely with clients to innovate, problem-solve, and create a comprehensive design. MD’s inspiration comes from a love for our native environment. 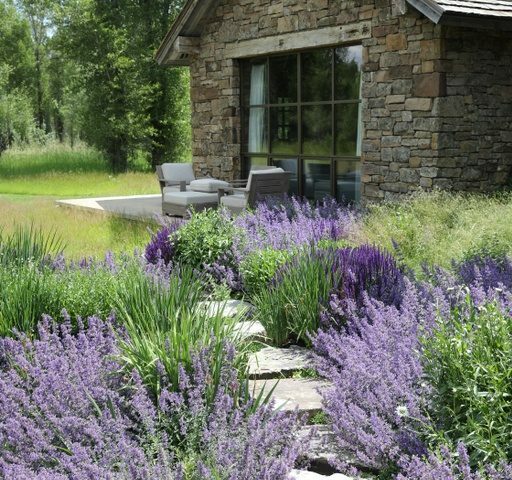 Our intention is to install a garden that inspires and achieves balance with the natural world. We offer illustrative drawings for overall plans, detailed planting/hardscape plans, pond-creek-waterfall concepts and HOA landscape submittals.